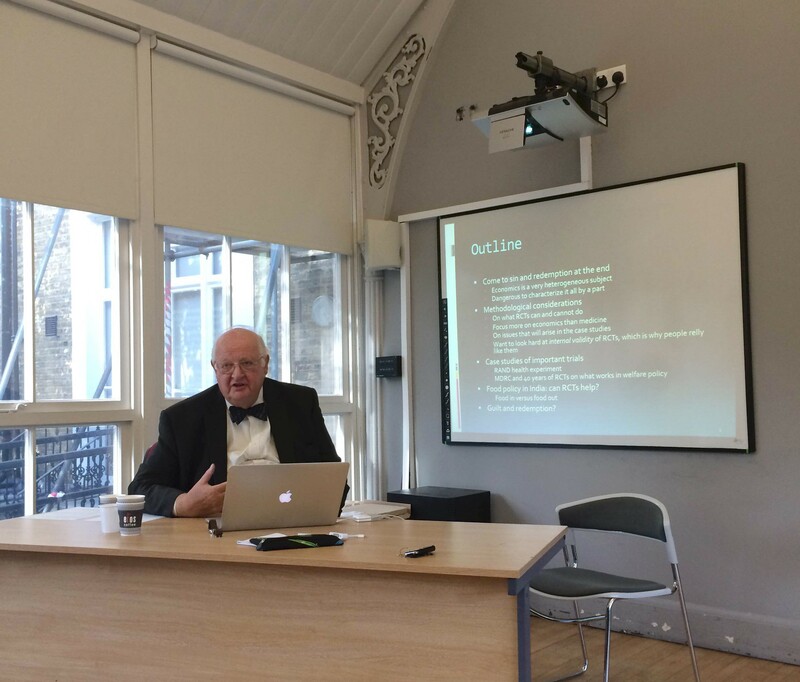 Spaces of Evidence: Reflections on the ESRC seminar ‘Trials and Tribulations of Economics’ by Will Davies. Orthodox economics has long come in for criticism regarding its presumptions about the world, especially those regarding human decision-making. The question is, if economics is to become more empirically attuned to real-world behaviour, how should it seek to do so? Equally importantly, to what extent does it draw on existing power structures (including some of questionable legitimacy) to acquire more fine-grained behavioural insight, and if so, how can it then offer any critical feedback to those structures, if at all? Comments Off on Trials and Tribulations in Economics. New directions for economic policy evidence. Trials and Tribulations in Economics. New directions for economic policy evidence. Comments Off on Related events: Experience as Evidence? Related events: Experience as Evidence? A Symposium on the Sciences of Subjectivity in Healthcare, Policy and Practice. The symposium brings together a multidisciplinary group of leading scholars and practitioners to discuss these and related questions, critically engaging with how the concept of ‘experience’ is articulated, studied, and developed within medical sociology, science and technology studies (STS), health services research, healthcare policy and practice. Hosted by the University of Oxford’s Health Experiences Research Group (HERG) in association with Said Business School, Cornell University and the University of Edinburgh. 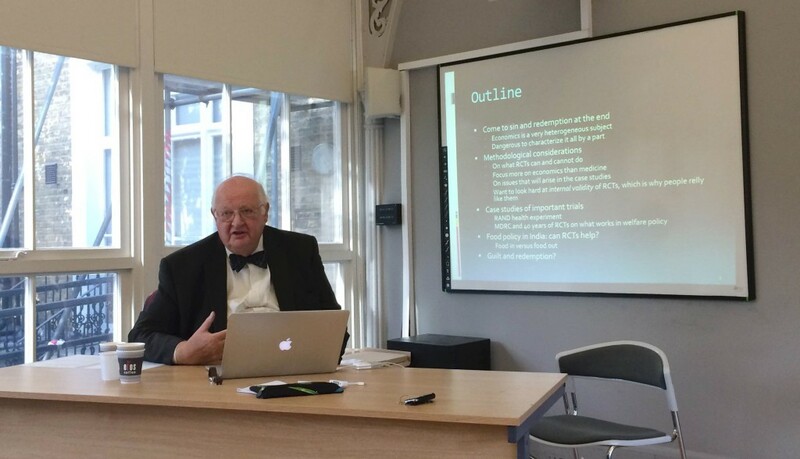 Comments Off on ESRC Seminar Series: The trial on trial. Evidence in interdisciplinary contexts. ESRC Seminar Series: The trial on trial. Evidence in interdisciplinary contexts. We are pleased to announce the final programme for the launch event of the ESRC-funded Spaces of Evidence network, The trial on trial. Evidence in interdisciplinary contexts, on Friday March the 28th 2014 at the University of Essex. The programme can be downloaded here. The meeting is open to members of the public, but spaces are extremely limited. For further information, or to book a place, please write to Daniela Boraschi (programme coordinator) at evidence@essex.ac.uk. “The most important reason for policy failure is the one that nutritionists are most reluctant to admit: many people are not interested in healthy eating”. An important aspect of evidence-based health policy is that one has to base policies not only on evidence of what works, but also on evidence of what does not work. According to Jack Winkler, there’s a great deal of that in the healthy eating field. Last summer, Winkler, a former professor of nutrition policy at London Metropolitan University, published a commentary on this theme in the British Medical Journal, entitled “Brutal Pragmatism on Food”. We reprint it in full (with permission from the BMJ). The UK launch of the seminar series takes place on March 28, 2014 at the University of Essex. The meeting, “The trial on trial:evidence in interdisciplinary contexts,” features talks from an international team of speakers on the history, current application and future uses of randomized trials in global policy-making. The meeting is open to the public but numbers are restricted. More details forthcoming.